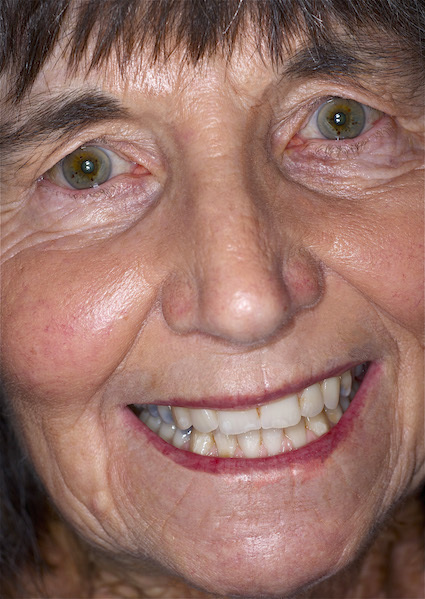 PHOTOGRAPHS: The images to the left show the patient pre-treatment (top), the patient post-treatment (second) and the patient’s full upper and lower denture with unique characterisation (third). The fourth image is the patient in her youth. Richard often asks patients to provide photographs that show their natural teeth to use as a reference as he crafts their new Lovebite dentures. 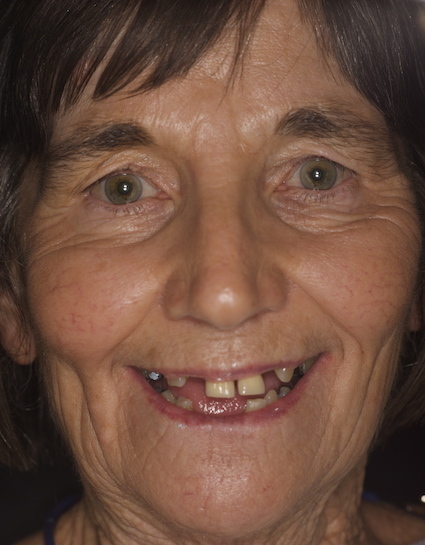 This immediate denture patient presented with a challenging rebuild proposition. 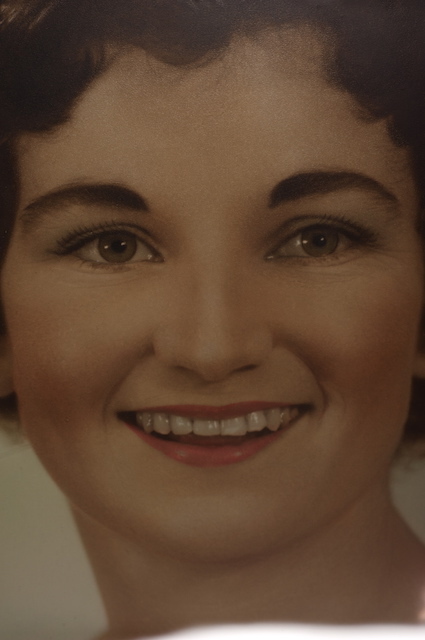 As with most Lovebite cases, it started with a little oral archeology – where the patients brings in photos from the past showing how their teeth and appearance used to look. Once Richard has observed, examined and measured the photos, an appropriate treatment plan for that immediate denture patient can start to proceed. In this case, the patient requested a very natural appearance, which Richard designed and created for her. The whole process with immediate dentures is closely monitored by Richard through the healing stages to the final fit of the dentures.